Mounting Details Stone is Set in a Platinum and 18k Yellow Gold Setting with 3.75ctw of Round White Pave Set Diamonds. Main Diamond is Bordered by 0.6ctw of Yellow Diamonds. Categories: Diamond Engagement Rings, Diamond Jewelry, Diamond Rings, Diamonds, Marquise Cut Engagement Rings, Micropave Style Engagement Rings. 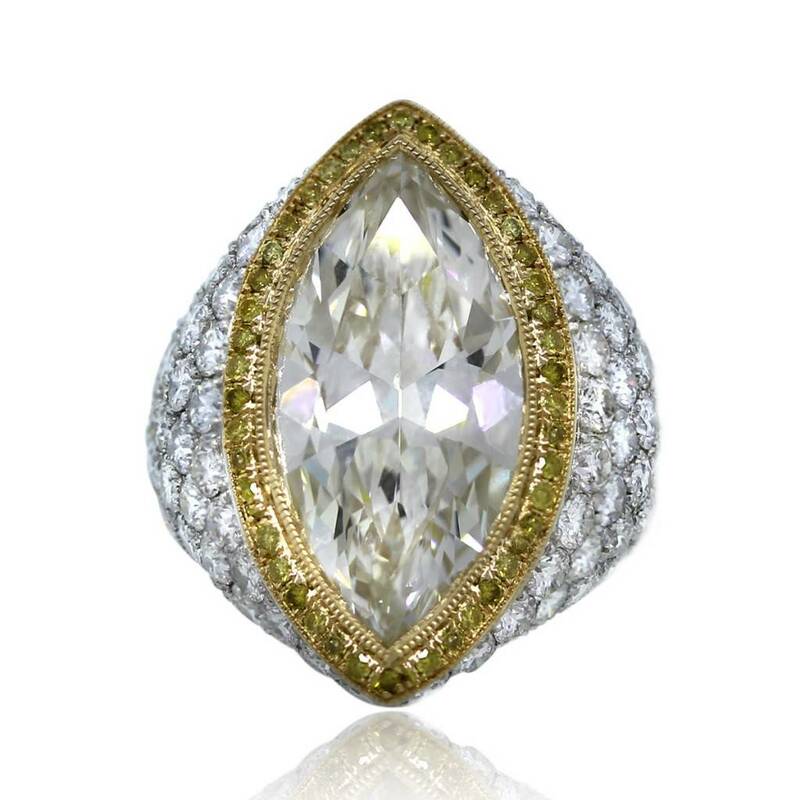 Tags: 7.22 Carat Diamond, Diamond Ring, GIA, Marquise Diamond, Pave Set, Two Tone Ring, White Diamond, Yellow Diamond.